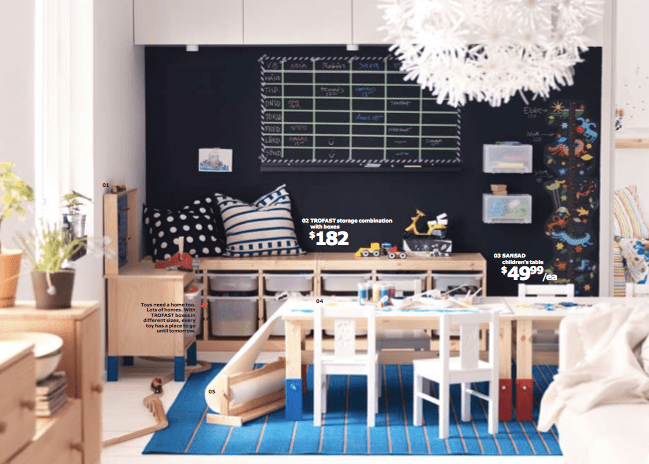 This month, our eyes was set on this lovely range of products from IKEA to put on our wishlist. The term IKEA is not only a shop. It’s a lifestyle and living inspiration. IKEA has been giving us brilliant ideas on how to arrange a practical yet stylish layouts for even the smallest space. 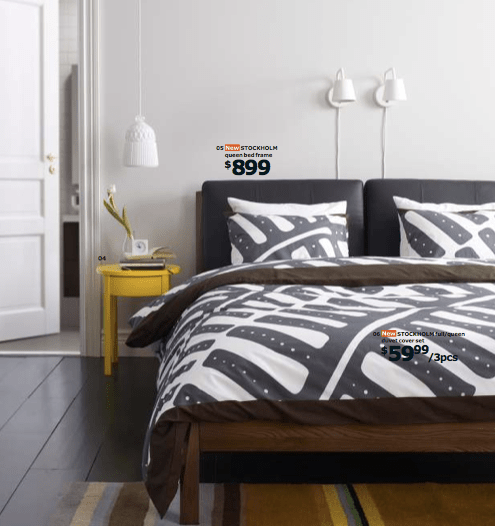 So, we were soooo excited when we found out that this Sweden based furniture and accessories will open in Indonesia soon. And for us, this is definitely way more exciting than the opening of any international clothing brands. 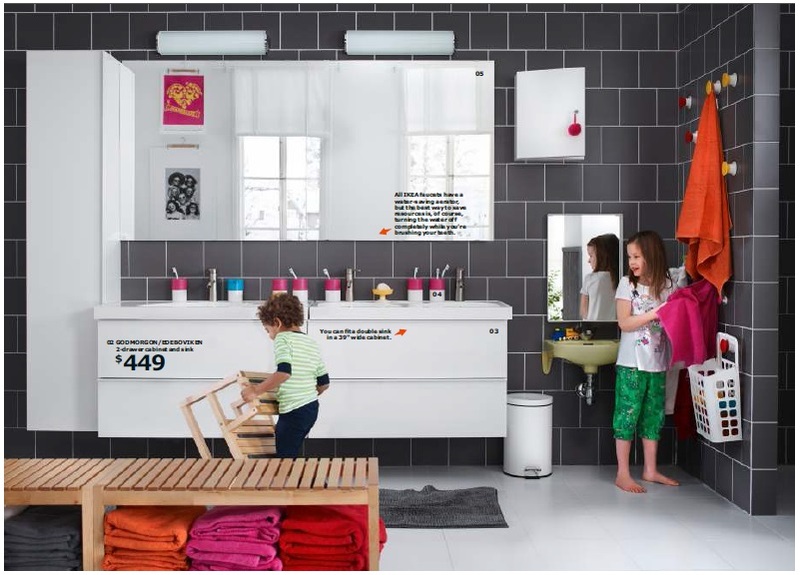 So, the online version of IKEA catalog 2014 is finally arrived and we want to share our picks with you. Nike loves the kids rooms from the catalogue..
We’re not a fan of princess-themed decor for kids rooms. We agree that kids room should have bright colors, but we certainly don’t need to apply bright colors all over the place. We don’t want to overstimulate the munchkins, do we? 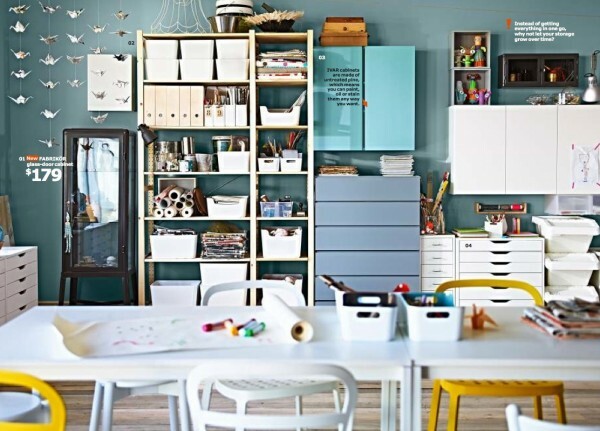 That’s why we HEART these kids room inspirations from the catalogue. It’s clean and organized. It has the right amount of bright colors. They only used 2 primary colors and blended it with neutral ones. Miranti picks the craft room. Grey-ish blue, white and a little of yellow created a nice palette. Look at those paper swan mobiles. Cute! Nike loves the bedrooms, especially that yellow painted chair and side table. Again, bright color over neutral ones. And for the bathroom, Miranti is in love with this grey tiled walls. It blended perfectly with the white furnitures. That wooden bench created a warm feeling. Bold color towels in mix-berries palette add a nice accent and help brighten up the room without being too colorful. Nike likes mint-colored night stand on the left. Its unique shape and pretty color will look good as a bedside table. 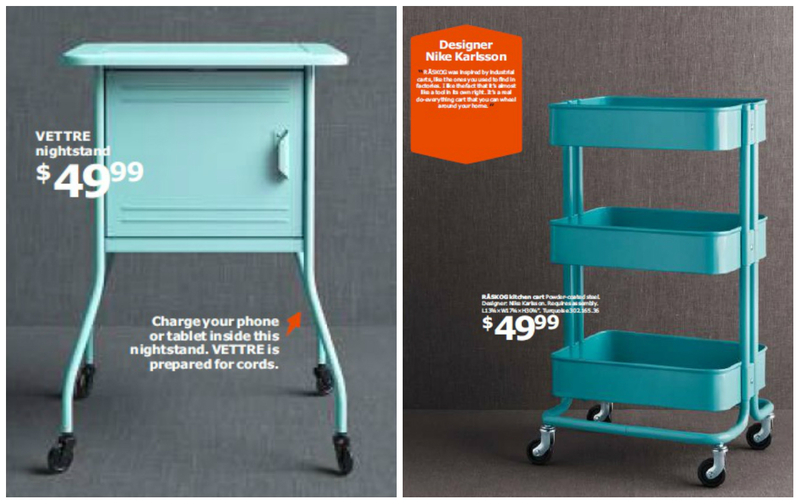 While Miranti favor this beautiful tosca kitchen trolley on the right and thinks that it could be used as a craft-tools trolley or baby-stuff rack. 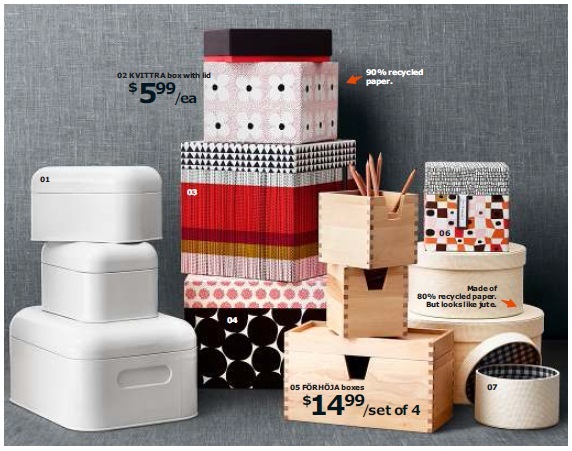 Another goods that we love is IKEA collection of boxes. You can choose among various design, shapes, colors, patterns. Our favorite is the plain white tin box on the left. Simple but unique shape, looks modern with a bit of retro feel. And it’s like a blank canvas that you could decorate in many ways! Another cuties is this bucket-shaped container that fits perfectly as a laundry bin, a simply black and white illustrated shower curtain, and little pastel-mood dinnerware that will look good on your child’s birthday party. Hmmm…hope it won’t take a long time for them to open the store here. Can’t wait to step into our own local IKEA heaven! What about you? Got any IKEA stuff on your wishlist? 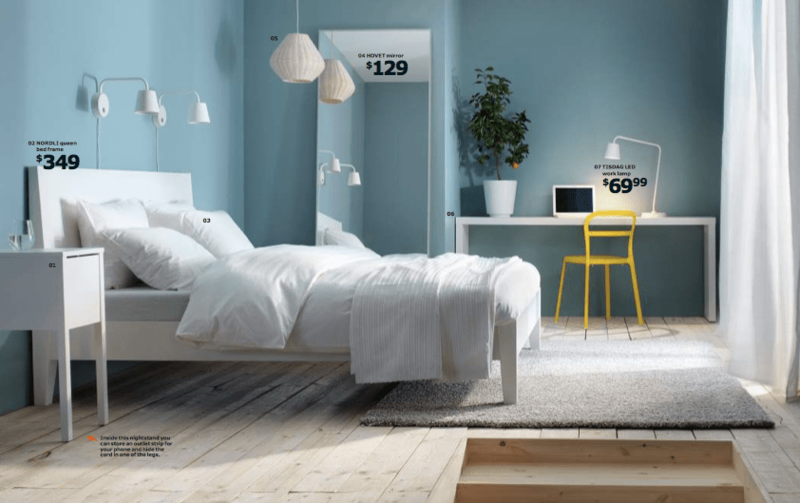 Photo taken from IKEA 2014 catalogue.